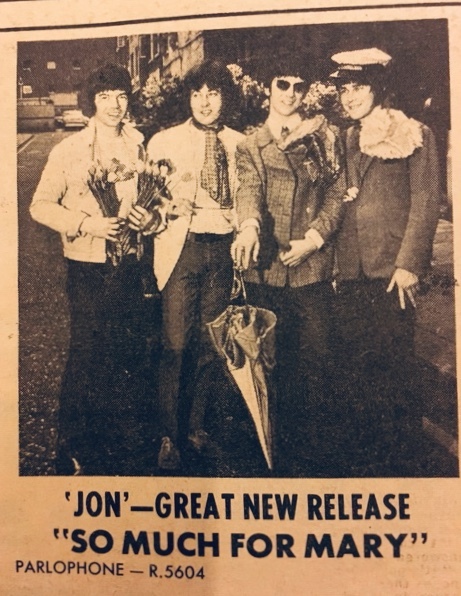 Jon was a Psych Pop group formed in England in 1967. 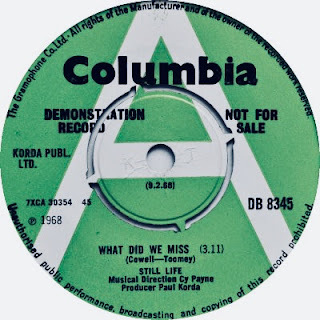 They released two singles before changing their name to Still Life in early 1968. Irish singer Jonathan Kelly is often miscredited as lead singer of this group. Thanks to Jim Toomey for providing info. After Chris Simmons left Jon to go solo, guitarist Stuart Cowell took over as lead vocalist and the band recorded another single under the name Still Life. Bassist Tom Tierney switched from bass to rhythm guitar and Con Byrne was added on bass. On 25 March 1968, Still Life performed a show at the Marquee in London. 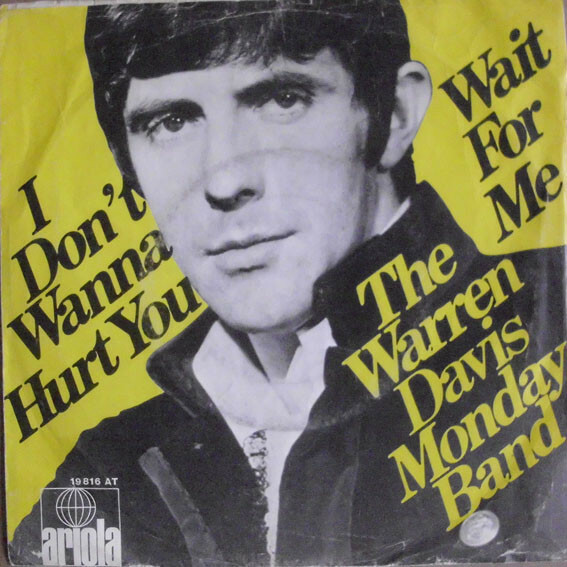 The three remaining members of The Warren Davis Monday Band were in attendance that night and soon asked the entire Still Life lineup to join them. 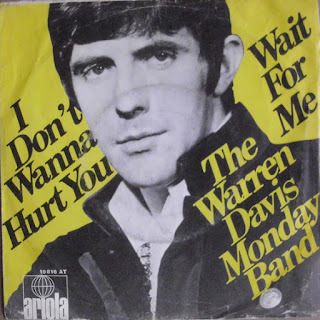 The Warren Davis Monday Band were a blue-eyed soul outfit formed in late 1966. After several lineup changes, the three remaining members merged with the band Still Life in late March 1968. 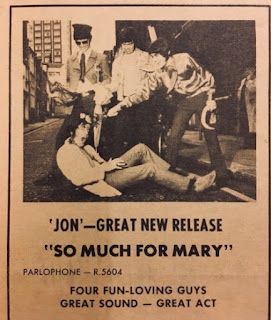 After yet another lineup change, the band was dissolved by early August 1968. It's not clear if this was the lineup that recorded the track "The No. 54 Putney Bus" for a TV Series (starring the band) that never came to be. This track was never released. 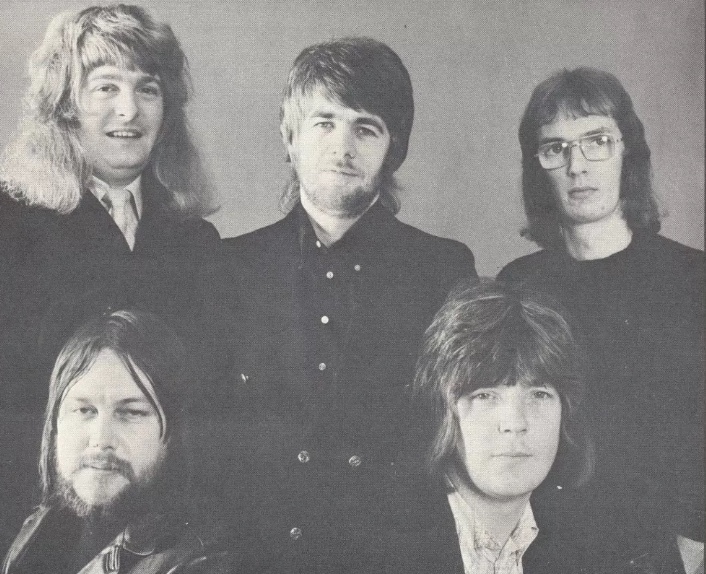 The Candy Choir was formed in Kent, UK in 1965. 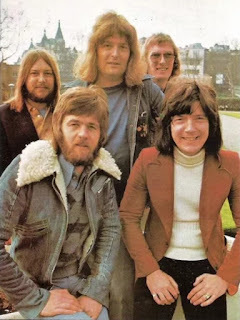 The band went through several lineup changes, releasing their own singles and serving as the backing band for both Crispian St. Peters and Barry Ryan. In January 1970, Ron Reynolds took over rhythm guitar duties from Brian Fletcher. 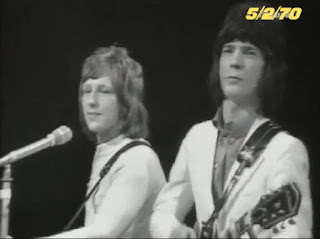 A few weeks later, Candy Choir performed with Barry Ryan on the 5th Feb 1970 episode of Top of The Pops. 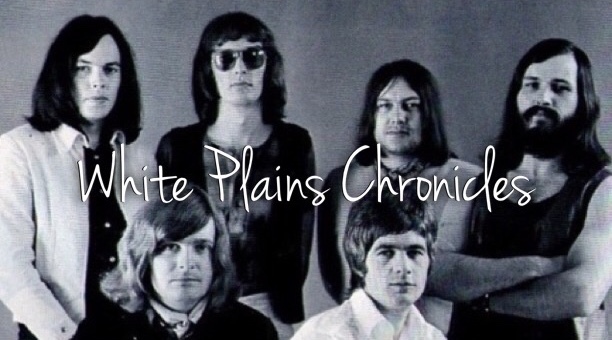 It's not known whether or not Ron stayed on in the band until joining White Plains in mid-1972. The single "Magical Spiel" by Barry Ryan With Candy Choir, released on 30 Jan 1970, was recorded a couple of months before Ron had joined the band. Thanks to Brian Fletcher for providing info. In mid-1972, sax player Tony Hall and sax player/flautist Brent Scott Carter left the group and keyboardist Ron Reynolds was brought onboard. Ron would prove a valuable member, not only as keyboardist and songwriter, but also as a vocalist. He co-wrote "Beachcomber", "Look To See", and "Does Anybody Know Where My Baby Is? ", with the last title also featuring him on lead vocals. It's not known if any of the tracks from the previously unreleased album, New Peaks, were penned by Ron. He does, however, take the lead on their cover of the Carpenters' hit "Superstar". He remained with the band until they disbanded in late 1974, but would record with the remaining members under the name Zenith at year's end. 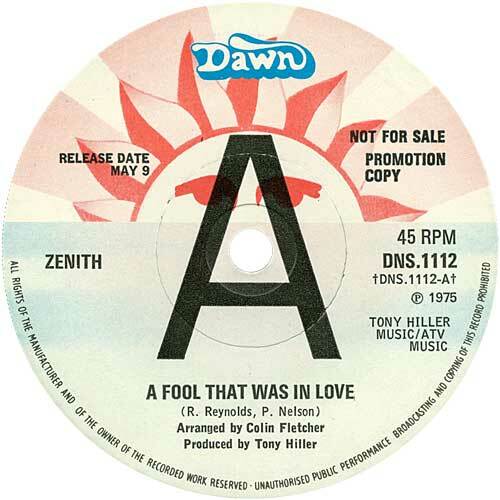 White Plains in a 1973 promo for "My Baby Loves Lovin'"
Zenith was formed out of White Plains in late 1974 by Pete Nelson, Ron Reynolds, and Robin Box. 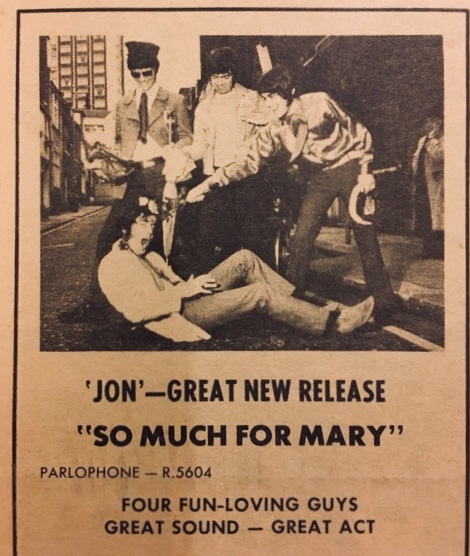 Two singles were released on the Dawn label, both co-written by Pete Nelson and Ron Reynolds and produced by Tony Hiller. 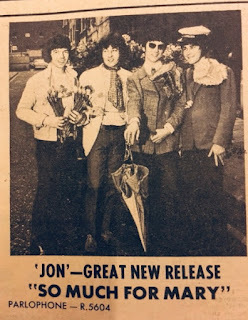 It isn't confirmed who played drums on the tracks, as Roger Hills had left White Plains in mid-1973 and Tex Marsh had gone on to rejoin the Tommy Hunt Band. Nor is it confirmed who played bass, as both David Kerr-Clemenson and Robin Shaw were also involved with other projects. In the late 1970s, Ron Reynolds performed under the name White Plains in a band based out of Cambridge. The group consisted of Ron, bassist Nigel Fear, and an unknown drummer. The band performed locally, but did not record. In 1979, Ray Royal took over on drums and remained with the group for about eighteen months. 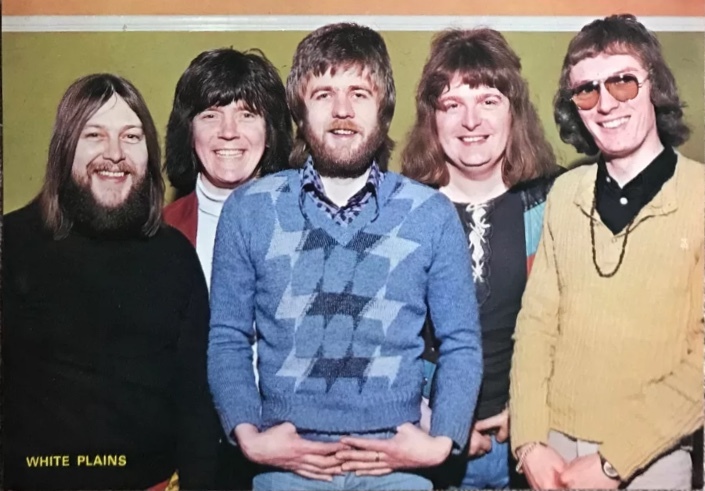 Nigel Fear was later replaced on bass by Mick Abrahams (not to be confused with the Jethro Tull guitarist of the same name). By the early '80s, Ron Reynolds had left the group, relocated to Suffolk, and began doing solo work. 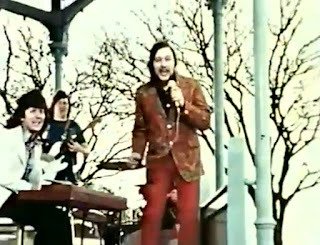 Mick Abrahams and drummer Ray Royal still perform today as White Plains, along with fellow members Karen, Richie (Ricky) Persell, and bassist Alfie. Thanks to Ray Royal for providing info. If you have any corrections or further information about Ron, please contact me (Kelly).